Our Bridal Handcrafted Custom Jewelry are made with Swarovski Lite Siam Siam Red & Maroon Pearls Collection & latest style & upcoming designs. 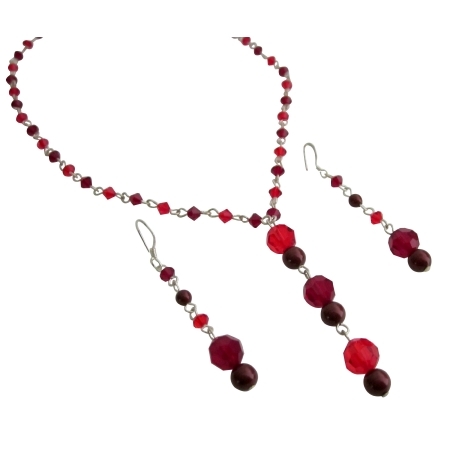 This is very beautiful delicate sleek & elegant Y Drop Necklace Set made with Swarovski Garnet Lite Siam Red Crystals & Maroon Pearls with Sterling silver Earrings. Crystals & Pearls features gorgeous with Swarovski Crystals & Pearls.